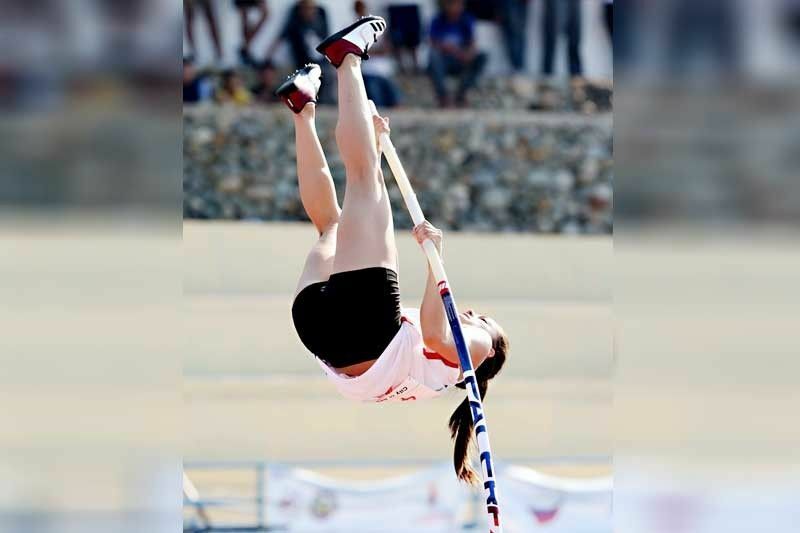 MANILA, Philippines — Fil-Am Natalie Uy shone bright in her first international outing for Team Philippines, resetting her own national record in copping the silver medal in the Taiwan International Indoor Pole Vault Championships recently at National Cauton Senior High School in Naunto, Taiwan. Just two weeks after establishing a new Phl standard of 4.12 meters at the Philippine Athletics Championships in Ilagan City, Uy continued her assault on the record books and cleared 4.20m to take runner-up honors behind American Annie Rhodes Johnigan (4.40m) in the foreign-flavored competition. Uy outjumped rivals from Korea, Singapore and host Chinese-Taipei en route to the strong finish that augurs well in her build up for the Asian Athletics Championships next month and eventually the Southeast Asian Games in December. Philippine Athletics Track and Field Association president Philip Ella Juico said they’re excited about Uy’s vast potential, especially in the SEAG, where Thai Chayanisa Chomchuendee’s golden mark in 2017 stood at only 4.10m. “As early as Ilagan (Phl trackfest), Natalie already surpassed the 2017 SEA Games record of 4.10m when she vaulted to 4.12m,” Juico said. Men’s record holder EJ Obiena landed second with his 5.30 meter effort behind Japanese Masaki Ejima, who also submitted 5.30m. Obiena, who owns a personal best of 5.61m and has repeatedly surpassed the 5.35m 2017 SEAG gold standard, and Uy, who has a PB of 4.30m which she achieved in Spain, set out to sweep the pole vault mints in the SEA Games. Bobby Ray Parks has come to terms on a two-conference deal with Blackwater in the PBA and according to PBA legend Danny Seigle, he’s sure to make an impact in the league.